On view last month in Cambridge was Gustav Metzger’s Auto-Creative art, a variety of materials and methods demonstrative of his long interest in kinetic art, particularly movement and random activity. 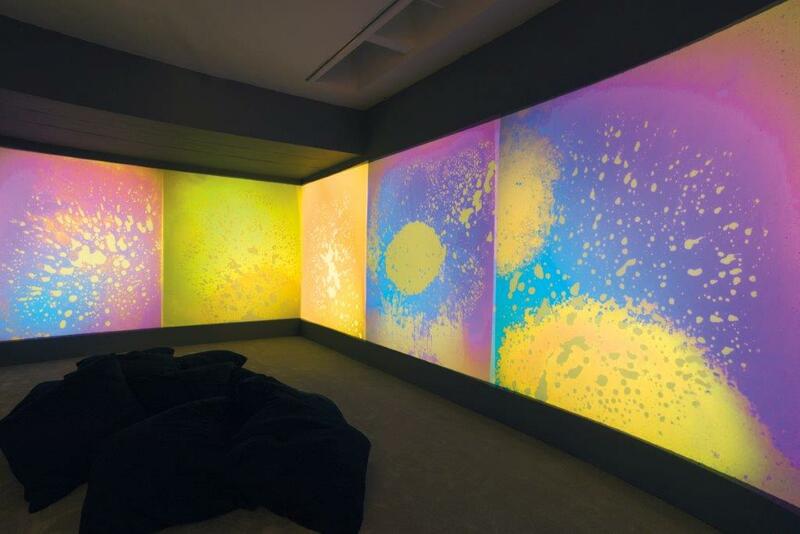 His 1964 statement “At a certain point the work takes over, is in activity beyond the detailed control of the artist, reaches a power, grace, momentum, transcendence” is apt for an installation which has both a hypnotic visual and a psychedelic delivery. Read the full review and learn about his connection to the Computer Arts Society here. This entry was posted in computer art, kinetic art and tagged Computer Arts Society, Gustav Metzger. Bookmark the permalink.